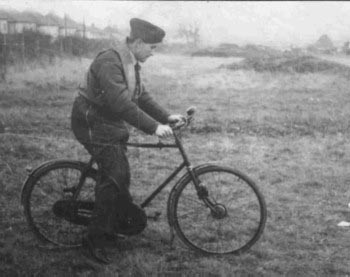 John Sample was born in Longhirst, Northumberland, in February 1913. He was a land agent in civilian life, working for his uncle as his joint agent. He joined 607 (County of Durham) Squadron, AuxAF on 27 April 1934 as a Pilot Officer. The Squadron was at the time based at Usworth, near Sunderland. Hawker Demon K3800 flown by John Sample. Image kindly provided by Robert Dixon at NORAV Home Page. On 27 October 1935 he was promoted to Flying Officer. He was appointed Flight Commander of ‘B’ Flight on 10 January 1939 and was as a Flight Lieutenant called to full time service on 24 August 1939. On 10 September 607 Squadron moved to Acklington, Northumberland, so that runways could be laid at Usworth. At 12:45 on 17 October ‘Blue’ section from ‘B’ Flight of 607 Squadron was scrambled to seek German seaplanes that had been reported off the coast. Flight Lieutenant Sample (Gladiator K7995/AF-O), Flying Officer Dudley Craig and Pilot Officer William Whitty (Gladiator K8026/AF-L) headed out to sea, where at 13:30 they intercepted a Do 18 flyingboat at 1,500 feet some 25 miles of the coast. Sample led the flight in a diving attack from 8,000 feet and each of the Gladiators carried out three individual attacks from astern. Bits were seen flying off the Do 18 but it continued to fly, trailing smoke and descending out to sea. With ammunition expended and fuel getting low, Sample led his section back to Acklington. 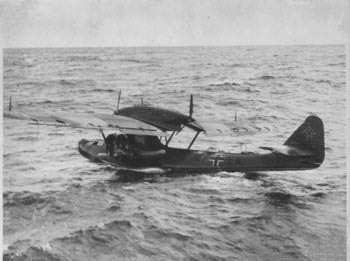 The German aircraft was M7+YK from KüFlGr. 806, which struggled eastwards for about 35 miles before force-landing into the sea alongside the destroyer HMS Juno. The crew were rescued and made prisoner while the aircraft was destroyed with gunfire. This was 607 Squadron’s first victory. Dornier Do 18 M7+YK of KüFLGr. 806 after being forced down. On 13 November, the Squadron, still with Gladiators, flew from Acklington to Croydon and two days later to France, first to Merville then to Vitry-en-Artois. The Squadron started to re-equip with Hurricanes in April 1940. This was probably He 111P-2 1G+CC of Stab II/KG 27, which was shot down by fighters during a sortie to attack Lille-Seclin and probably the one claimed by ‘B’ Flight. The Heinkel crash-landed at 05:15 and burned out at Ormeignies, south-west of Ath. Leutnant H. W. Hover, Oberfeldwebel E. Lisse, Feldwebel H. Walz and Unteroffizier F. Schlichting were all captured unhurt. He was shot down at 14:50 and sprained both his ankles severely on landing. Thereafter, until recovery, he was obliged to wear carpet slippers at all times, even when flying. Sample’s sprained ankles, however, kept him ground during the remaining time in France. The squadron suffered heavy losses and lost two commanding officers in short time. As senior pilot, Sample was given command of the remains until the squadron was ordered to withdrawn from France on 21 May 1940. Sample was given command of 504 (County of Nottingham) Squadron at Wick in Northern Scotland in late May 1940. The squadron was in the process of rest and rebuild of strength and took on the responsibility of providing the air defence of the naval base at Scapa Flow. Later the squadron moved to Castletown on the Pentand Firth, bringing it closer to its patrol area. He was awarded the DFC on 4 June 1940 for his action in France. His citation stated that he had been an inspiration to his squadron. On 1 September he was promoted to Squadron Leader. On 5 September the squadron moved south to Hendon, north-west of London, to take part in the Battle of Britain. At 17:35 on 7 September he claimed a damaged Do215 in the Manston area. On 15 September the squadron took part in a big interception over London when they scrambled at 11:15 to the Madistone area. Sample spotted a formation of Dornier Do 17s at 15,000 feet and led his squadron in. He attacked a Do 17 at 12:10, which was trailing white smoke after having been attacked by about five fighters. He climbed up above the Dornier and then made a diving attack. As the distance between himself and the bomber narrowed, he noticed a red light in the rear-gunners cockpit, but as he got even closer, he saw that he was looking through the whole length of the inside of the Dornier to the pilot and observers cockpit. The red light that he saw was in fact the red glow of fire. He gave another short burst, and as he turned and went past the aircraft, the inside was nothing but a red-hot furnace inside. He then saw it go into a spin after the tail section broke away, followed by the wing sections beyond the engines. The narrow fuselage with short stubbs of wing roots fell though the cloud to oblivion, he never saw it crash. After Sample’s attack, one of his pilots, Sergeant Ray Holmes, rammed it. The Do 17 fell on Victoria railway station. This was Do 17 (2361) of 1./KG 76 flown by Oberleutnant Robert Zehbe. Oberleutnant Robert Zehbe was badly beaten by a mob when he landed in Kennington. He died following day as a result. Metropolitan Police have nothing to say on the subject. At 14:00 the 504 Squadron was scrambled again once more, this time from Hornchurch. In company with 249 Squadron, it attacked a formation of Do 17 near Gravesend. Breaking up the formation, Sample took on a Do 17 at 14:35, which was making a run for home. He made four attacks and firing in two-seconds bursts, the Do 17 crashed onto Barnehurst golf course at 14:45. This was Do 17Z-2 (3457) of 4./KG 3 flown by Leutnant Herbert Michaelis. Sample then joined in a combined attack on a He 111 (2771) II/KG 53 flown by Unteroffizier Lange. This aircraft crashed on West Malling airfield at 15:00. The squadron was later moved to Filton and then later to Exeter. During this time they were responsible for the air defence of the Bristol and Westland aircraft factories. When the Battle of Britain ended he led the squadron on offensive sweeps over France. Sample while servicing as CO of the 504 Squadron.. In March 1941 he was posted away from 504 Squadron to 10 Group HQ as a controller. In September 1941 he was given the job of forming 137 Squadron on Whirlwinds at Charmy Down. On 24 October 137 Squadron flew its first operation, a ‘Mandolin’. The target, several trains carrying fuel containers in railway sidings at Landernau, near Brest, were not found, but Squadron Leader Sample (Whirlwind P7053) attacked several wagons and Flying Officer Clark (Whirlwind P7050) destroyed a locomotive. On 28 October, weather was fair, some cloud in the morning with average visibility, improving in the afternoon. Practice flying was carried out all day with a total of 14.20 hours flown. 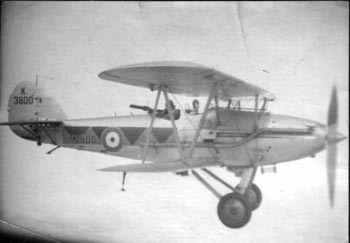 Squadron Leader Sample (P7053) with Sergeant M. J. Peskett (P7058) took off from base at 17:45 to do a formation practice south of Bath, with practice attacks to be carried out by Sergeant J. F. Luing who took off 10 minutes later. 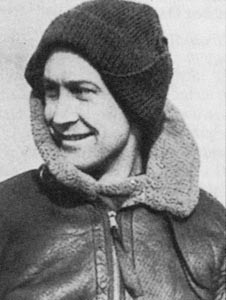 All three aircraft carried out turns at about 1000ft for some minutes and Sergeant Luing broke away on Sample’s orders to carry out the first attack. On approaching for the second attack, Sergeant Luing saw Sample’s aircraft going down out of control, with part of the tailplane coming off. The machine was in a spin, and when close to the ground, Sergeant Luing observed Sample leave his machine and his parachute open, but his canopy did not open, and Sample landed on the roof of some farm buildings (Manon Farm) near Englishcombe. The aircraft landed on the same buildings and burst into flames. Sample was killed. Sergeant Peskett reported that his aircraft was bumped but remained under control and he returned immediately to base and landed. His aircraft was found to be damaged but repairable on the unit. He did not see anything of the Sample’s crash. After seeing the Sample’s crash, Sergeant Luing returned to Base and reported the accident, which occurred at about 18:10. Examination of Peskett’s aircraft suggested that the starboard propeller had hit the tail of Sample’s aircraft. Both sets of undercarriage doors and the central bulge of the Fowler flap also showed signs of contact. P7058 was flown, gear down, for repair at Filton where the two squadrons' shared Servicing Echelon was based. Sample was buried in St. Andrews churchyard Bothal, Ashington Northumberland on 3 November. At the time of his death, Sample was credited with 1 shared biplane victory and a total of 1. TOTAL: 1 and 3 shared destroyed, 1 shared probable and 2 damaged. (a) Do 18 M7+YK of KüFlGr. 806. The crew became POWs. (b) Probably He 111P-2 1G+CC of Stab II/KG 27, which was shot down by fighters and the crew POW. (c) Claimed in combat with He 111Hs from III/KG 1. (d) Do 17 (2361) of 1./KG 76 flown by Oberleutnant Robert Zehbe. (e) Do 17Z-2 (3457) of 4./KG 3 flown by Leutnant Herbert Michaeli, which crashed onto Barnehurst golf course at 14:45. According to other sources this claim is shared with 4 Hurricanes and 2 Spitfires. (f) He 111 (2771) II/KG 53 flown by Unteroffizier Lange, which crashed on West Malling airfield at 15:00. One of the forgotten ‘few’ - Robert Dixon, 2002 Flypast September 2002. Additional information kindly provided by Robert Dixon and Paul McMillan.